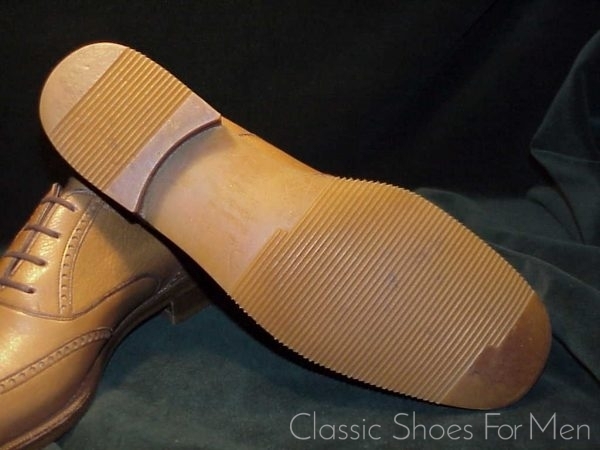 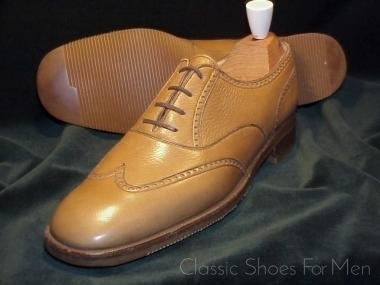 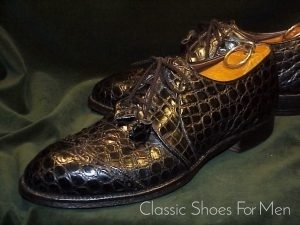 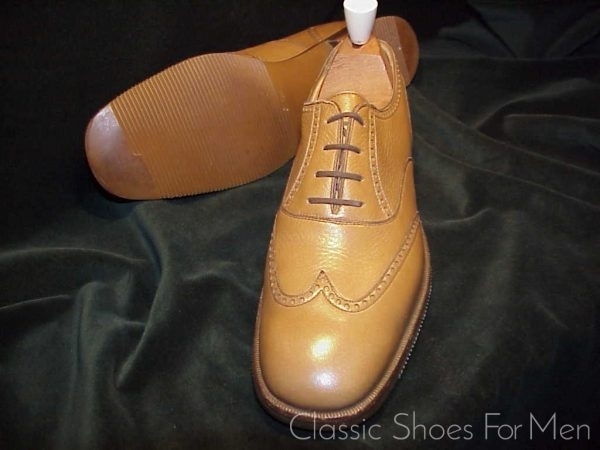 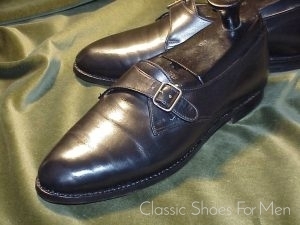 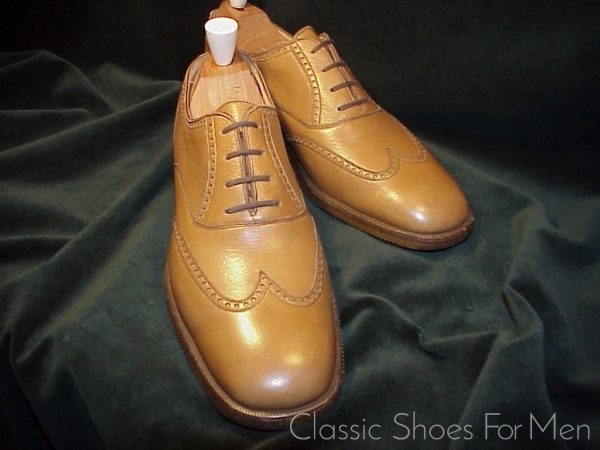 This is a rather stylish and elegant all-weather Oxford in unequaled-for-comfort deerskin, made by Gravati for San Francisco’s super delux Neiman Marcus department store, located in the heart of San Francisco’s shopping district, on Market Street near Union Square. 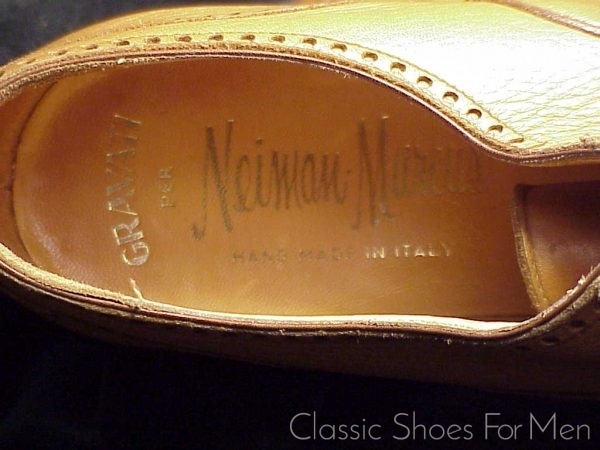 Neimans is a long-standing Mecca for well-dressed San Franciscans. 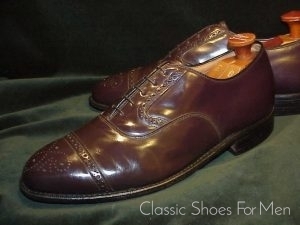 With its robust all-weather sole, this Gravati oxford is a charming and eminently comfortable shoe for town or country. 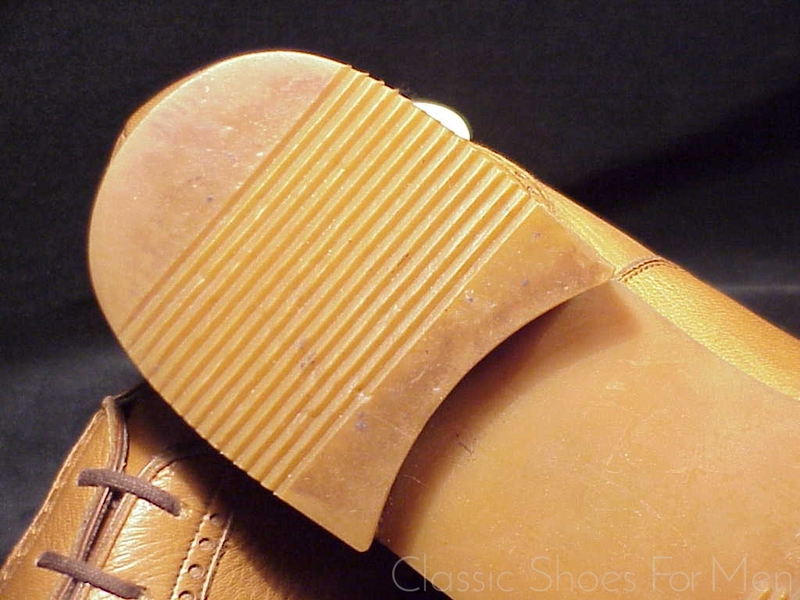 Marked US 9D...…(UK 8E)......(Continental 42D), for the medium-width foot. 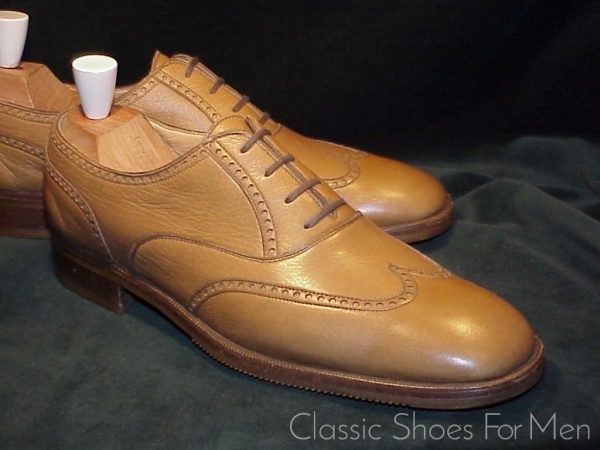 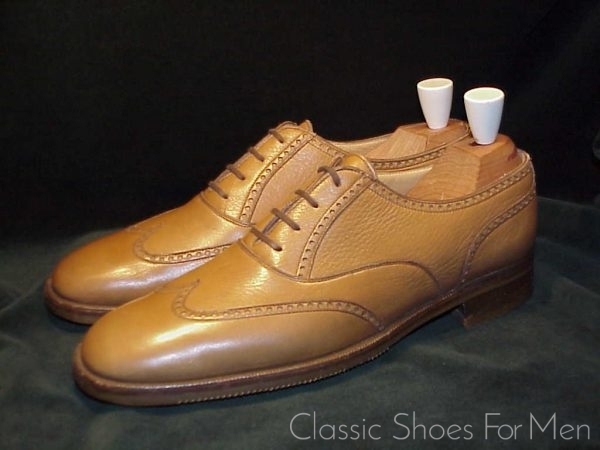 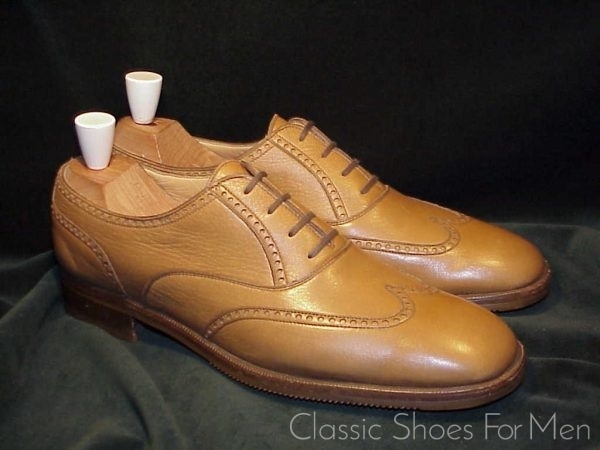 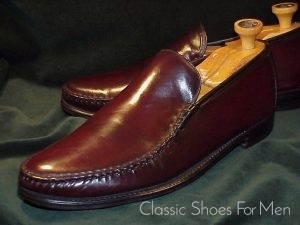 But for slight soling of the soles, new or near new, neuwertig.